Our IH120 Incremental Hollow Encoder has a heavy duty construction and a range of shaft cores from 40 to 65 millimetres. 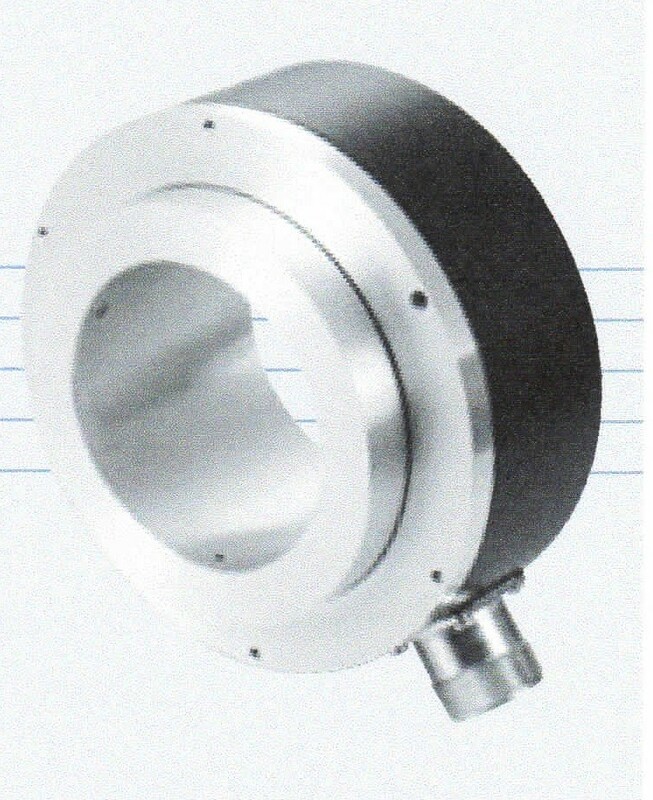 It is a shaft mounted encoder with a maximum of 50,000 Pulses Per Revolution (PPR). It is RS 422 compatible (4.75 to 30 volts), with a maximum frequency of 300 kHz. The body and cover of the Incremental Hollow Encoder is constructed from aluminium; the shaft is a stainless-steel construction. With a weight of 1.584 lb (720g) and IP54 protection, the IH120 Incremental Hollow Encoder can operate between temperatures of -20 °C (minimum) to a maximum of +70 °C (-4° Fahrenheit to +158° F). Torque is rated at less than 0.2 Nm, with a maximum speed of 4000 revolutions per minute (4000 RPM). With a 100% Short Circuit Protection, you can feel confident in our Incremental Hollow Encoder. This encoder requires a supply voltage of 4.7530 V DC, with a maximum current consumption of 40mA. It has a Push-Pull output circuit (RS 422a) and has a maximum impulse frequency of 300 kHz. This product has a 0.5 logic level range from a maximum low Logic Level of 0.25 Volt to a high Logic Level of 0.7 Volt (Vcc – 0.7 volt).